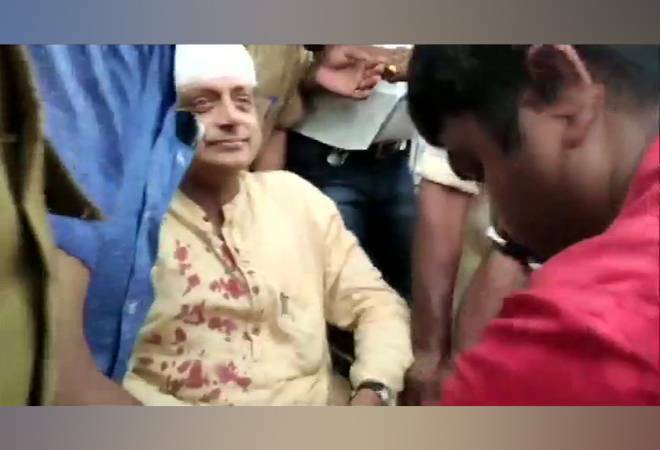 Thiruvananthapuram: Congress MP and Thiruvananthapuram Lok Sabha candidate Shashi Tharoor suffered a head injury while making a ‘Thulabharam’ offering at a temple in Kerala on Monday. The incident occurred at the Gandhari Amman Kovil temple in Thampanoor, after the weighing scale on which the leader was sitting, broke and fell. 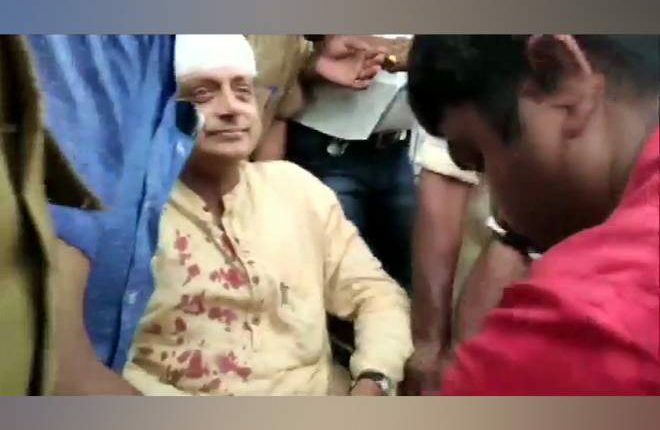 Tharoor sustained injuries on the head and legs and was rushed to the nearest hospital for preliminary treatment, after which he was shifted to a super-specialty hospital. He has received six stitches. After the accident, the Congress leader cancelled his election rally scheduled to be held in Thiruvananthapuram. The two-time sitting MP from Thiruvananthapuram has been on a campaign trail and had earlier performed Thulabharam in Kazhakkoottam constituency before kick-starting his election campaign from there. All the 20 seats in Kerala will go for polling in a single phase on April 23.